This is the first of two giveaways you're going to see from husband and wife duo, Noe and Cindy (the second being custom Austen woodwork! ), and it's a double giveaway itself! Two separate winners will each receive one of their Pride & Prejudice retellings -- check 'em out below, and then enter to win. And keep an eye out for the woodwork giveaway, coming next week! And you can also check out their site for a freebie short story giveaway! Jane Austen's Pride and Prejudice is one of the greatest love stories ever written. We have come to love and respect the wit and charm of Elizabeth Bennet by means of that novel. We are likewise introduced to Mr. Darcy, but are given only a glimpse of the man that is captivated by the most unusual woman he has ever met. His fascination for her turns first to admiration, then to ardent love. However, from the start, he manages to alienate himself from her, setting the stage for the greatest disappointment of his life. Rendering him humbled and thrown off balance, will he recover? 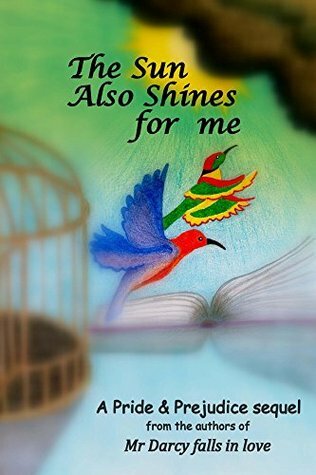 Can he recover from a love that has thus overpowered him? Or will he be left to come to grips with his unrequited love and simply move on with his life? We know the answer, but we really want to know what the journey was like for him along the way. 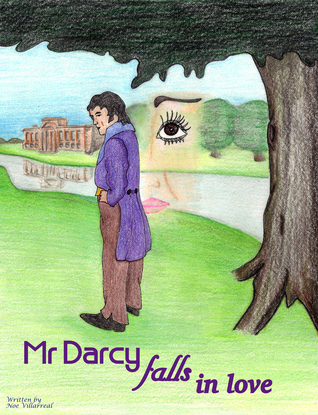 You are invited to come see and feel how it was for Darcy in this story of how Mr. Darcy falls in love. Mary Bennet, having been overshadowed her whole life by her sisters, is now seeking her place in the sun by pursuing a life that will be uniquely her own. As she sets out, she gains a ready companion in Georgiana Darcy, who wishes to assist her. Shy Georgiana also sees in this a way to withdraw from the uncomfortable light of attention from young men seeking to marry into the Darcy name and money. "The Sun Also Shines For Me" follows Mary and Georgiana into London during The Season, a time for men and women alike to meet someone to marry. However, our two heroines have come to London for reasons altogether different. Are they going to discover what they are looking for? Will Mary's attempt to step from the shadows into the light be successful? Will Georgiana find that running from one thing leads her headlong into something quite unexpected? Or is the society of the time so stacked against two young ladies with interests beyond balls and dinner parties that they are stifled in their pursuits? Come join these two girls in this exploit and find your own reasons to laugh and cry with them along the way to realizing that the sun truly shines for both of them. Noe & Cindy have offered up one copy each of Mr Darcy Falls In Love and The Sun Also Shines for Me, to two separate winners (1 book per winner). Misty, thank you so much for this very interesting event you hold - Austen lovers have so much to do here! We appreciate you letting us be a part of it, we're very happy to put up our two books in your giveaways! Just fyi, the ebooks are available for all the other devices as well, but of course, the giveaway is for the honest to goodness, hold in your hands, paperbacks! I did get them from Goodreads -- I noticed there were two slightly different versions for each, but since these were the ones that conformed to actual book dimensions, these were the ones I assumed were current/final. I'm a Goodreads librarian, so if you want to email me the actual final covers, I can change them on Goodreads. Both books sound really sweet! I love getting more of Darcy's perspective in a story. And secondary characters getting their time to shine is always a hit. Thanks for the opportunity, Noe and Cindy! These are on my TBR and I am so looking forwrd to reading them. Thank you so much for your generous give away.